Back in Print! This grounded introduction to witchcraft separates the Hollywood myth from the everyday reality, with all the practical advice you need to follow the Witch's way. Join renowned Witch Kate West as she explores beliefs, practices, festivals, and folklore. Discover spells, charms, healing potions, affirmations, and herbal magic. 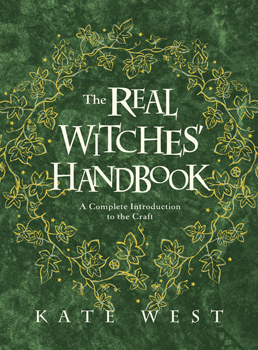 This book was originally published as 978073871375 - The Real Witches' Handbook.